As the country slides deeper into trouble, many view Afghanistan’s enormous natural wealth as the way out of the somber economic and security situation. The country has a wide range of minerals, from rare-earth elements to abundant iron ore and copper deposits, lithium, gold, and more — prized possessions in any modern-day economy. While the mineral deposits could be a potential window to a bright future for the Afghan people, they do not always lead to a happy ending. In addition to a relentless insurgency that has been raging for more than 17 years, endemic corruption is a bane for the impoverished landlocked country. On the 2017 Corruption Perception Index, Afghanistan ranked 177th out of 180 countries and territories — a significant decline over the previous year. Another survey puts the amount of bribes paid by Afghans annually to access basic public services at a staggering $3 billion, when the country’s entire security budget sits at a little more than $5 billion. In June 2014, a man named Abu Bakr al-Baghdadi, dressed entirely in black, stood at the pulpit in the Great Mosque of al-Nuri in the Iraqi city of Mosul. The mosque he chose was deliberate: It was built in the 12th century by a Turkic ruler famous for fighting Christian crusaders. The name he chose was deliberate: It was a nod to the first caliph, Abu Bakr. The garb he chose was deliberate: It harkened back to the caliphs of yore and the Prophet Muhammad himself. The words he chose were deliberate: Failure to re-establish the caliphate, he said, was nothing less than apostasy. And so it was, with reverence and humility, that this shadowy figure, having declared an end to Islam’s humiliation and disgrace, resurrected an Islamic State. In al-Baghdadi’s own words, the “sun of jihad” had risen again. KABUL (Reuters) - The U.S. special envoy for Afghanistan is trying to reassure the U.S.-backed government in Kabul that it will not be shut out of a peace process with the Taliban, after it complained of being side-lined from talks, officials said on Friday. 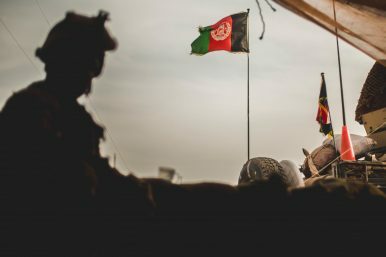 The U.S. envoy, Zalmay Khalilzad, wants representatives of Afghan society to join talks aimed at ending the 17-year war between the Western-backed government and the Islamist Taliban, who were ousted from power by U.S.-led forces in 2001. Khalilzad, an Afghan-born U.S. diplomat, met Taliban leaders in Qatar last month to try to push talks forward but the Taliban have long rejected direct talks with the elected government, led by President Ashraf Ghani. China is winning the trade war with America for now The White House would do better to focus on areas of legitimate grievance GILLIAN TETT Add to myFT US president Donald Trump with Chinese president Xi Jinping; import-export data suggests things are not going America's way © AFP Share on Twitter (opens new window) Share on Facebook (opens new window) Share on LinkedIn (opens new window) Save Save to myFT Gillian Tett NOVEMBER 15, 2018 Print this page165 Sometimes statistics don’t behave as predicted. Take the thorny issue of US-China trade and Donald Trump. Earlier this year, the US president expressed fury about the size of America’s bilateral trade deficit with China and imposed escalating tariffs on $250bn worth of Chinese imports. Newly announced U.S. ambassador-designate to Australia, Arthur Culvahouse, comes to Australia at a moment of significant tension in U.S.-China relations, with a growing consensus in the U.S. that it is entering a period of competition with Beijing. Policy documents such as the National Security Statement classify China as a competitor, tariffs signal America’s impatience with China’s economic model, and Vice President Mike Pence has now demanded that China must offer concessions on trade and geopolitics. What if America’s interests in Asia are not important enough to justify the enormous effort of competing with China to maintain regional leadership? CHINA – In the Trump administration’s most substantial foreign policy speech thus far, delivered at the Hudson Institute on Oct. 4, Vice President Mike Pence accused China of a “whole-of-government” attack on U.S. interests and vowed the United States will respond with robust countermeasures. Pence leveled three charges. First, “Beijing is … using political, economic and military tools, as well as propaganda, to advance its influence and benefit its interests” in the U.S., including efforts to influence and interfere in domestic U.S. politics. Second, although much of the ninefold growth of China’s economy had been powered by U.S. investment and markets, China had used “an arsenal of policies … including tariffs, quotas, currency manipulation, forced technology transfer, intellectual property theft and industrial subsidies” to build its manufacturing base at U.S. expense. The U.S.-China trade war is looking more and more like a cold war. 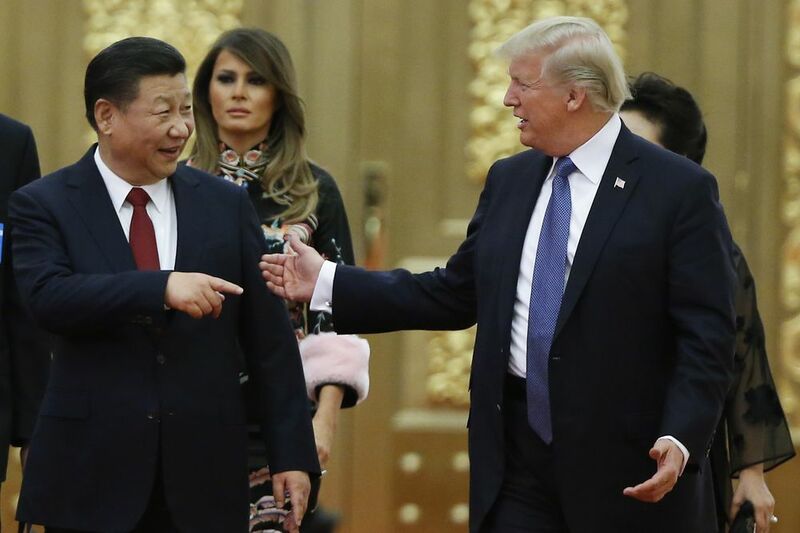 President Donald Trump’s tariffs, crackdown on alleged Chinese theft of American technology, and rhetoric have overturned decades of U.S. foreign policy that had prioritized cooperation. Meanwhile, his counterpart Xi Jinping hasn’t budged on any concessions. China experts worry that relations between the world’s two most important countries have reached a turning point. Trump usually gets the blame (or credit, depending on where you stand) for souring relations. He’s not the real culprit, though. The man truly responsible is China’s president. Xi has altered the course of Chinese policy in ways that made a showdown with the U.S. almost inevitable, whoever sat in the White House. 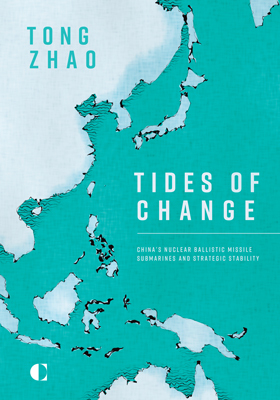 In recent years, China has expended considerable efforts to build a sea-based nuclear force for the primary purpose of enhancing its overall nuclear deterrent. Although Beijing’s goal is limited and defensive, the practical implications of its efforts for regional stability and security will be significant. A fleet of survivable nuclear ballistic missile submarines (SSBNs) would reduce China’s concerns about the credibility of its nuclear deterrent and lessen the country’s incentives to further expand its arsenal. Such benefits, however, will be tempered by vulnerabilities associated with Beijing’s current generation of SSBNs. In the near to mid-term, developing an SSBN fleet will require China to substantially enlarge its previously small stockpile of strategic ballistic missiles, possibly exacerbating the threat perceptions of potential adversaries and causing them to take countermeasures that might eventually intensify an emerging arms competition. Israeli Prime Minister Benjamin Netanyahu will face pressure to call for early elections as his coalition risks crumbling over the cease-fire with Hamas in the Gaza Strip. A new Israeli government could shift the country's relationship with the United States, Russia, Turkey and other major allies — especially because Netanyahu has held his seat for so long. Qatar's value as an ally risks becoming tarnished if its efforts to support the latest cease-fire fail to calm the tense situation in Gaza. BRUSSELS — New revelations by the Norwegian military and allied officials that Russia persistently jammed GPS signals during NATO’s recently concluded Trident Juncture exercise in Europe’s High North region are disturbing for their implications. That should come as no surprise to anyone who has followed, even nominally, Moscow’s tactics. But where to draw the line? The core activities of Trident Juncture took place in southern and central Norway, plus the North Atlantic and Baltic Sea between October 25 and November 7. According to Norway’s Ministry of Defense, the jamming took place between October 16 and November 7 in Russia’s Kola Peninsula. This region shares a common border with northern Norway and NATO partner country Finland, whose military forces also participated in the exercise. One thing you can say: The center is holding. For now at least, Brussels is standing tough. After all, one could not always say that about Europe, where so rarely in history has there been a firm center at all. But this time the falcons can surely hear the falconer. The falcons in this case are two major, wayward countries, the United Kingdom and Italy. The first wants to leave the European Union painlessly (and many would say delusionally) while the second simply wants to break its rules—also painlessly. Like a tag team, Britain and Italy have been trading crisis headlines day by day, while Brussels’s bemused bureaucrats hold their ground. Late this week it was London’s turn as Prime Minister Theresa May’s Tory government all but imploded over her Brexit proposal, which both Conservatives and Labourites dismissed as too beholden to EU rules. After a five-hour cabinet meeting that followed two years of fitful negotiations with Brussels, four high-profile ministers including Brexit secretary Dominic Raab quit the cabinet on Thursday, and pundits expressed doubts May could get the deal through Parliament or even survive politically herself. Brexit Crisis. Theresa May in Trouble. Rinse. Repeat. Less than 24 hours after U.K. Prime Minister Theresa May’s cabinet backed the text of her provisional Brexit deal, the walkouts began. On Thursday morning, Brexit Secretary Dominic Raab submitted his resignation, noting he could not “in good conscience” support the government’s Brexit deal. Through the course of the day, six others followed. The string of departures from May’s cabinet reaffirm what is already widely known: Her negotiated deal is deeply unpopular among lawmakers both within and outside her ruling Conservative party. Even with her cabinet’s approval, the likelihood of the agreement gaining enough support in Parliament seemed uncertain. Now, it seems almost certain that it won’t. From Eastern Europe to the Caucasus to Central Asia, the United States will increase ties with countries along the former Soviet periphery in the coming year in an effort to increase pressure on Russia. The United States will cultivate security ties with pro-Western states in Russia's borderlands through weapons sales and military exercises. At the same time, Washington will offer economic and security incentives to countries that are more firmly in Moscow's orbit in an attempt to wean them off Russia. Russia will respond with its own hybrid warfare tactics in the region as a means of resisting the United States and the West and spreading its own influence. As the nation reflected on the centenary of the end of the First World War, the Telegraph's special correspondent Harry de Quetteville examined what global warfare will look like over the course of the next 100 years. In the piece, he outlined the transformative technologies, including artificial intelligence, genomics and cyber warfare, that will impact future global conflicts. The far-reaching capabilities of these new technologies had our readers taking to the comments section to offer their own predictions and analysis. The implications of fully autonomous weapons on civilian as well as military targets and the threat posed by increasingly sophisticated cyber attacks were among the key concerns of our readers. Recent months have seen much controversy over the Defense Department’s move to a cloud-based infrastructure. In the last year alone, multiple contract protests have been filed, and the award has been delayed numerous times. While there may be much to argue about on process, what has gotten lost in this debate is the fact that Defense Secretary Mattis’s move to the cloud is the right move for our national security. Little, if any of the debate, has focused on the concrete benefits that DoD’s shift to the cloud offers our warfighters, much less its critical cybersecurity benefits. The fact is that continued delays in implementing the Secretary’s plan impose a significant cost on military effectiveness. What is most surprising about these delays is that the White House itself—within five months of entering office—correctly identified some of the key cybersecurity challenges facing the government and moved to fix them. Bureaucratic process has successfully stymied an otherwise a strong plan coming out of the White House and DoD leadership. This plan recognizes that to truly defend the nation in cyberspace, the government must be able to see all the pieces of the puzzle, and the cloud architectures is a key component. In any national system, some of the key elements that have to be defended include mobile networks, enterprise information technology (IT) and operational technology (OT), cloud architectures, and communications backbones. Geographic information systems (GIS) technology has many critical real-world applications. At Stratfor, our in-house creative team uses GIS to create original, illuminating graphics to highlight emerging trends in geopolitics that are defined by geography. Check out some of our favorite examples of visual data in this original collection. The Pentagon’s First-Ever Audit: A Big Disappointment? WASHINGTON: The Pentagon is preparing to release its first-ever audit as soon as this week, making it the last federal agency to complete a top-to-bottom scrubbing of its processes, business practices and finances. The fallout is likely to be messy. While expectations have built over the years that the audit will uncover large savings and pockets of waste, it is more likely to reveal a series of cumbersome and outdated technology systems that gum up the works and expose data to hackers. WASHINGTON: What does Cyber Command need industry to invent ASAP? Simulators that capture the full complexity of cyber warfare and command systems that show the virtual battle raging in real time, Lt. Gen. Vincent Stewart said this morning at CyCon US, a US Army–NATO cyber conference. It’s an irony of the information age. The US military has plenty of simulators to train pilots, sailors, tank crews, and even foot troops in physical combat. It has plenty of command-and-control systems to feed commanders data on what planes, ships, tanks, and troops are doing in physical operations. 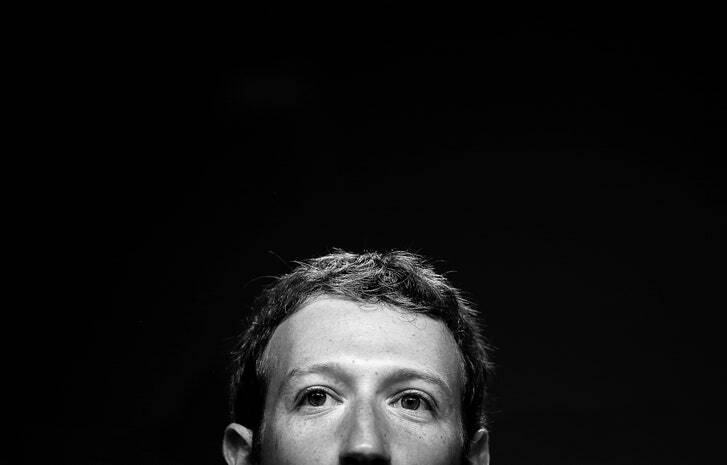 But it doesn’t have comparable computer systems to either train for or to control operations in cyberspace — the very kind of conflict where computers are both the weapons and the battlefield. The U.S. Navy has formally elevated electronic warfare and the underlying electromagnetic spectrum to the status of a “warfighting battle space” equivalent to its sea, air, land, space, and cyber operations. The directive approved by Thomas Modly, undersecretary of the Navy, acknowledges the growing significance of what has also become known as “spectrum warfare,” defined as the merger of conventional tools like electronic warfare with cyber operations. 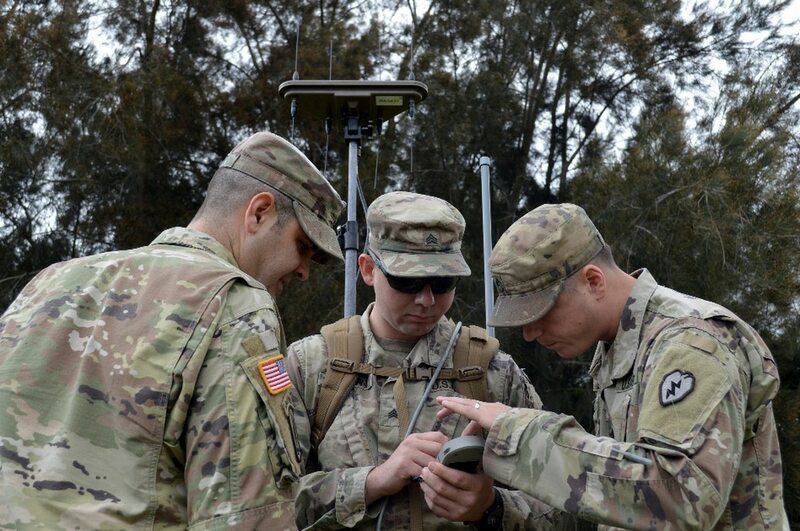 It also doubles down on Pentagon attempts to squeeze more efficiency from the crowded airwaves as more electronic systems hit the battlefield. That reality has prompted the services and the Pentagon’s top research agency to look for new ways to re-allocate spectrum for electronic warfare (EW) and cyber operations. 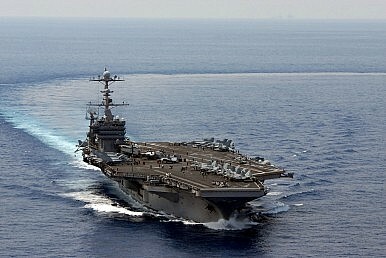 Are Aircraft Carriers Still Relevant? The debate over the centrality of the aircraft carrier in fleet structure continues unabated over 70 years since it came of age during World War II. The discourse over the decades – and this picked up steam in recent years – has been that anti-access/area-denial (A2/AD) weaponry like submarines and missiles, or even drone swarms in the future, will dethrone the “Queen of the Waves” from her exalted position. Much of the debate focuses on how dangerous these threats are to the carrier. There is some basis to these arguments based on historical examples, but the main limitation is that these threats have not been truly proven in real-world combat. And of course, nobody has ever attacked a flat-top of any nation since World War II. Therefore, the literature on the so-called “carrier-killers” is based largely on informed speculation. Moreover, there are credible counters to them, as Dr. Robert Farley, a regular voice in the carrier debate as well as a frequent contributor to The Diplomat, correctly pointed out in an article on the Foxtrot Alpha defense blog. Another, more nuanced, look at this issue is perhaps in order.